Choose at least three to five cheeses of varying milk sources, colours, and textures and flavours. 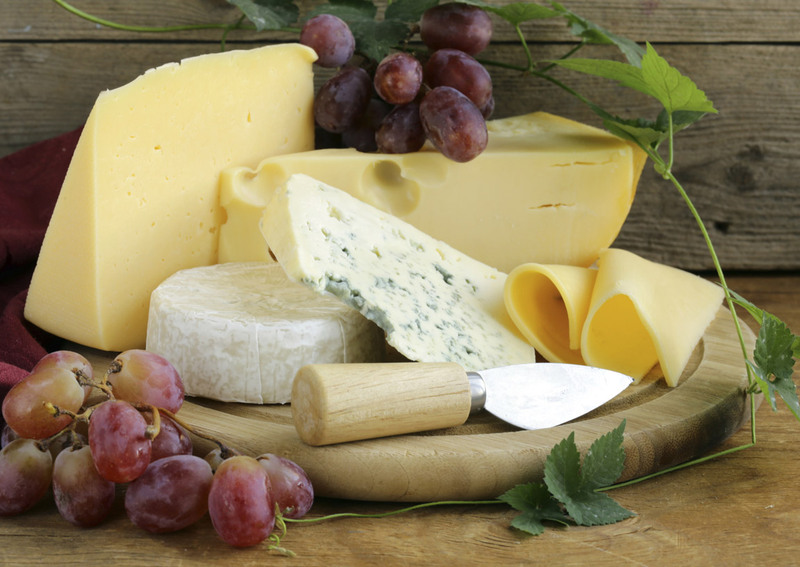 Choose cheeses from the five following categories: fresh, bloomy, semi-soft, hard and blue. For example, with fresh goat cheese, a sheep’s milk cheese, Président Double Brie, Feta and a blue cheese, you have the prime ingredients for a cheese board that is both visually exciting and impossible to resist! It’s easy to get the quantities right if you follow this simple guideline. For pre-dinner or cocktails, allow around 30-35 grams of each style of cheese per person. If the cheese board is the cheese course of a dinner party, around 70 grams per person. If your cheese board is the focus of the party, plan on 150-200 grams per person. The textures, tastes and aromas of specialty cheeses are at their finest at room temperature, so be sure to take your cheese out of the refrigerator 30 minutes to one hour before serving on your cheese board. Strong flavoured and filled breads can overwhelm the flavours of the cheeses you have so carefully selected. 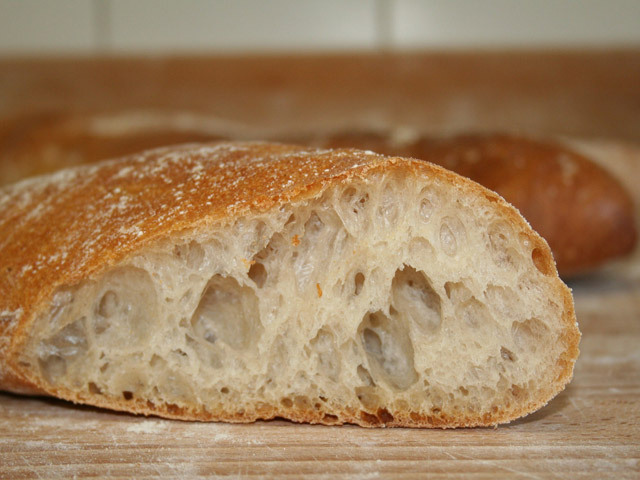 So choose fresh, plain breads like baguettes (both sweet and sour), plain crackers, breadsticks or lavosh bread. When considering accompaniments, don’t just go for the same old, same old. 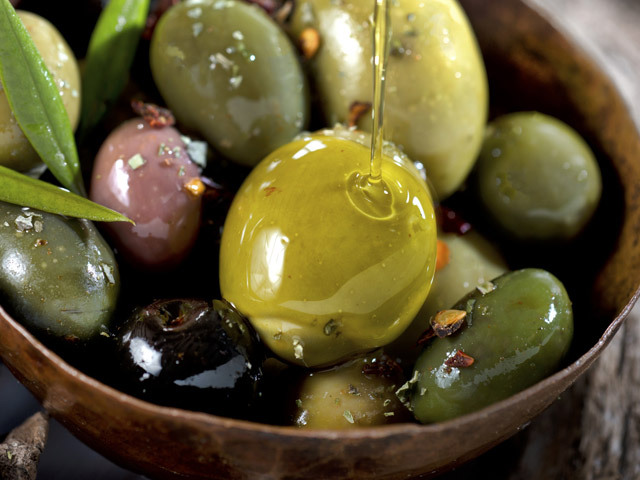 Opt for both green and black olives, tapenades, fruit chutneys or preserves, and mustards. Consider cured meats, like Bresaola, Saucisson Sec, Prosciutto di Parma, or Serrano ham. 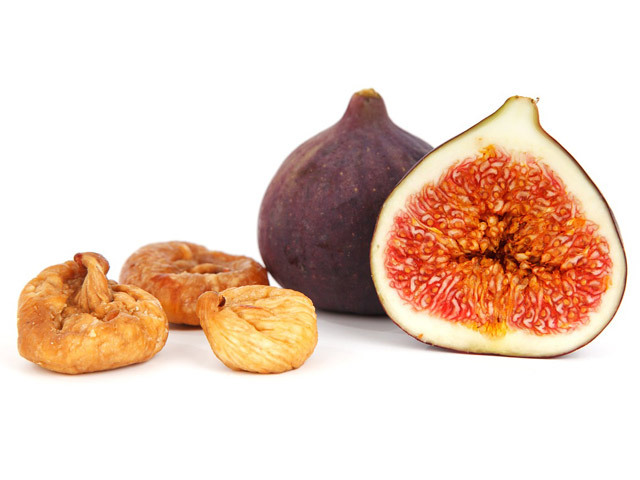 And try sliced fresh, seasonal fruits like apples, pears and mission figs. Beginning at the six o’clock position and going clockwise, arrange cheeses from mildest to strongest. For example, start with a soft, fresh goat’s milk cheese, progress to a Brie, then move into more flavourful washed rind, hard, and finally, blue cheeses. Ideally, each cheese portion should have a part of the rind. Softer cheeses should be sliced lengthwise into wedges with a butter knife or small paring knife, while harder cheeses should be sliced with a chef’s knife or micro plane slicer pulled across the flat surface to obtain paper-thin slices. 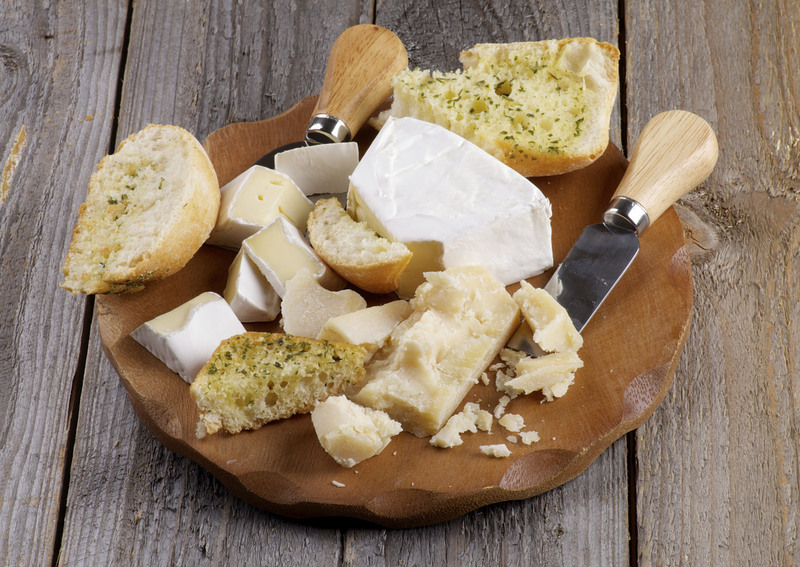 Use a cheese cutting wire to glide through harder varieties, and spoon soft, runny cheeses into small bowls. Presentation is key. Try using a large rustic wooden board or even a marble or slate slab. You want to ensure you have levels of height and various colours – this will make your cheese board a stand-out at any event. Purchase your cheeses at a reputable cheese shop. Try before you buy. A good shop will always let you sample cheeses – especially important if you plan to use them for entertaining or with a specific wine. For a party platter or wine tasting, allow about four ounces (100 grams) per person. If the cheese is part of a full dinner, reduce this amount to two ounces (50 grams). Decide on a theme for your selection. For example: a mixture of blue veined cheeses; or a selection of cheddars. If you choose cheeses with a strong similarity in taste or appearance, go with only three or four varieties. For a contrasting selection, pick five or six. Try to include a range of textures, from soft to firm to hard. Choose cheeses of different shapes and heights, some with rinds and some without. Keep cheeses covered until just before serving, to prevent drying out. Always serve cheese at room temperature. This releases the oils that transmit the flavour to the palette. Lay out your cheeses to lead guests from the mildest to the strongest. Arrange complementary foods as a garnish around the cheese. 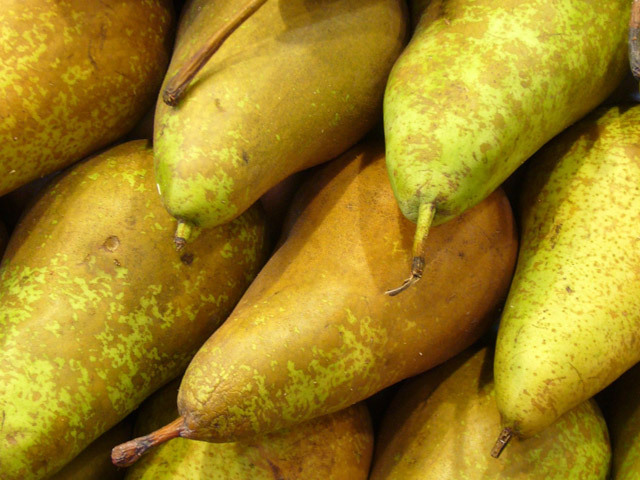 If you’re serving fruit, allow 1 1/2 whole fruits per person. A cheese course can be served on individual plates. Select three cheeses and arrange with appropriate garnishes. Alternatively, serve the cheese course on a platter in the centre of the table. The saltiness and texture goes best with 3 year old cheese. A good choice with medium and older cheeses. 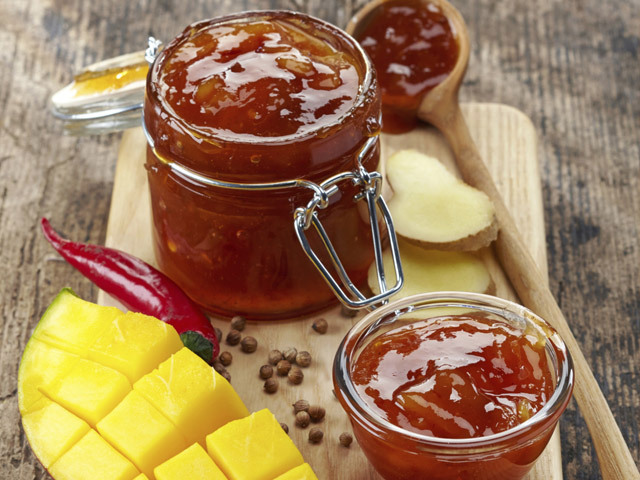 The sweeter the chutney, the milder the cheese. The acidity refreshes and clears the palate. 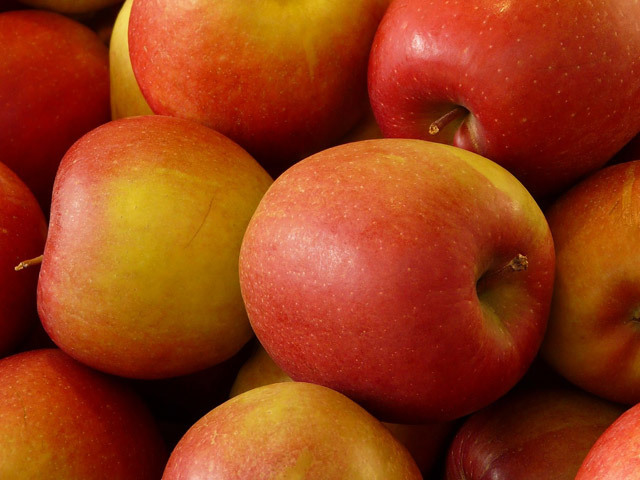 We recommend Royal Gala. A sweetness that complements without overpowering. Unsalted is best. 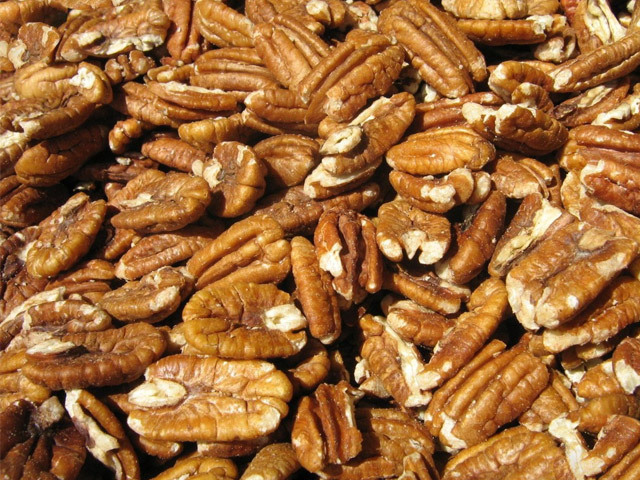 Walnuts are an especially good choice. Plain, toasted or broiled. A good choice for any cheese, but especially extra old. Thinly sliced and toasted artesanal breads or fruit breads are also ideal.